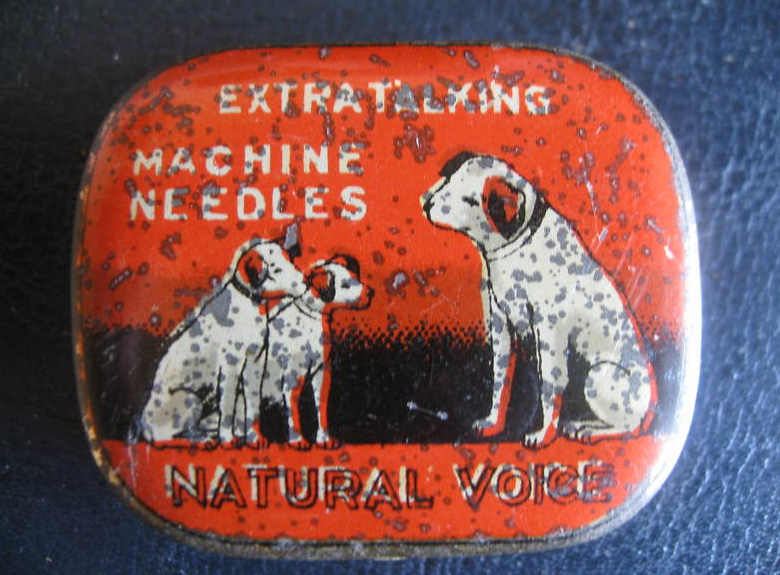 One of my secret growing obsessions is buying phonograph needle tins on ebay. 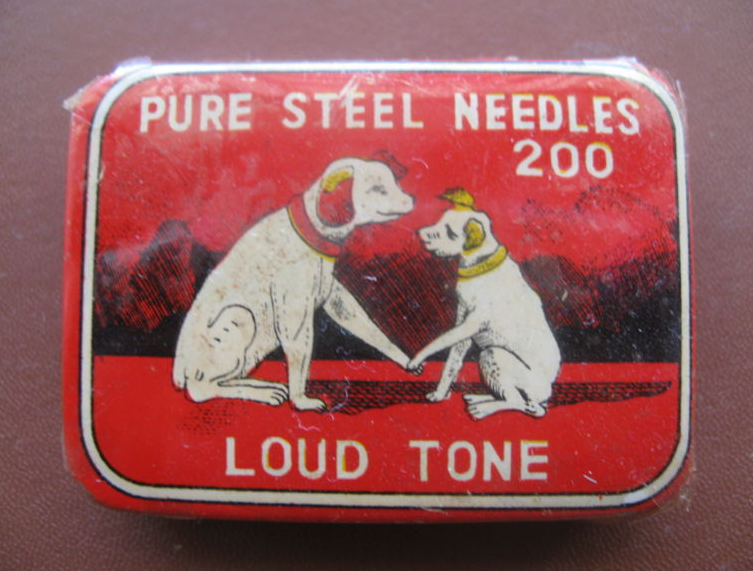 The phonograph needles are to be used once per play of a 78 record, and they come in different tones to control the volume of the record. Some tins I buy, some I don’t, but I’ve been really enjoying finding the different categories that they fall in to. 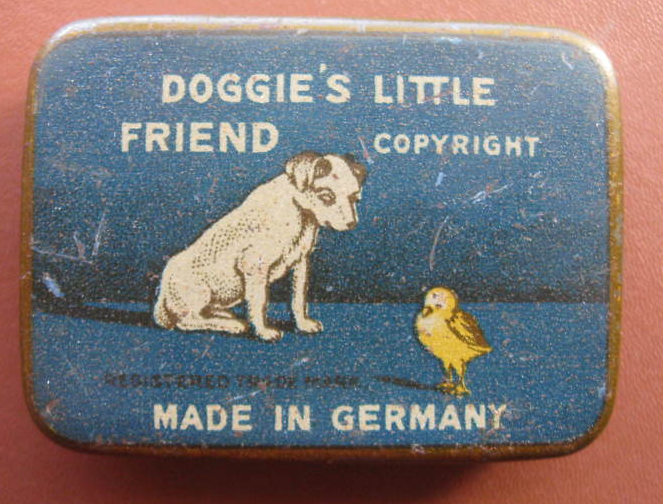 I present to you now, Dogs & Talking Machine themes. Doggies holding hands with babies. In hell? Doggies holding paws. Shaking paws? 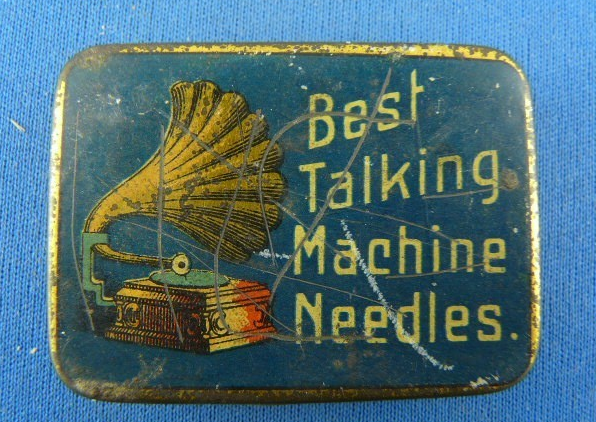 German needles for a talking machine. 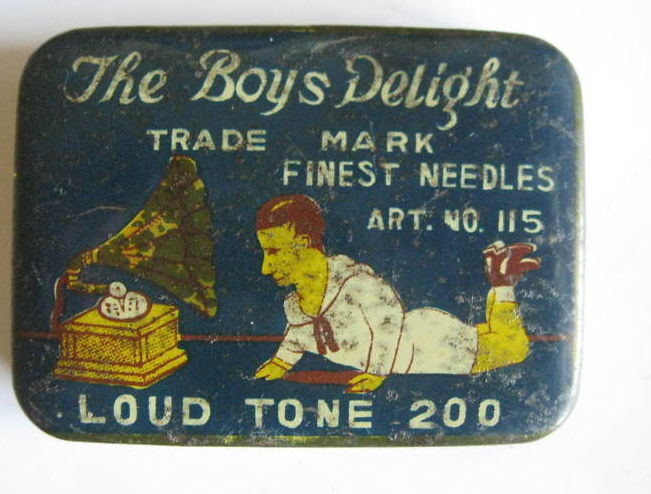 The Boys Delight – I believe these are from India. The perspective on this horn is very seashell like. 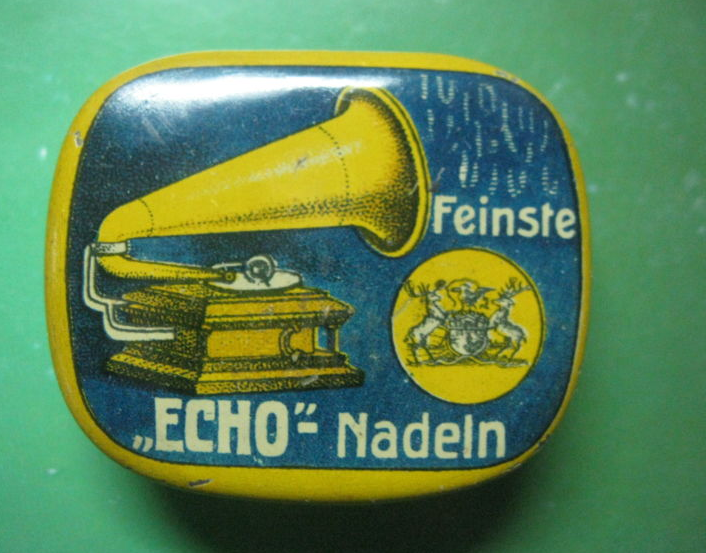 German phonograph needle tin. I love this color scheme! 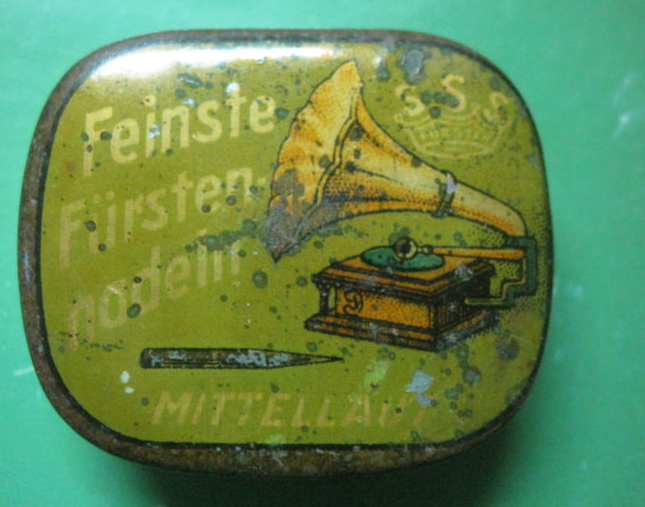 After reading your post, I have come to realize that you are into vintage tin boxes. Can I just draw your attention to the link below? 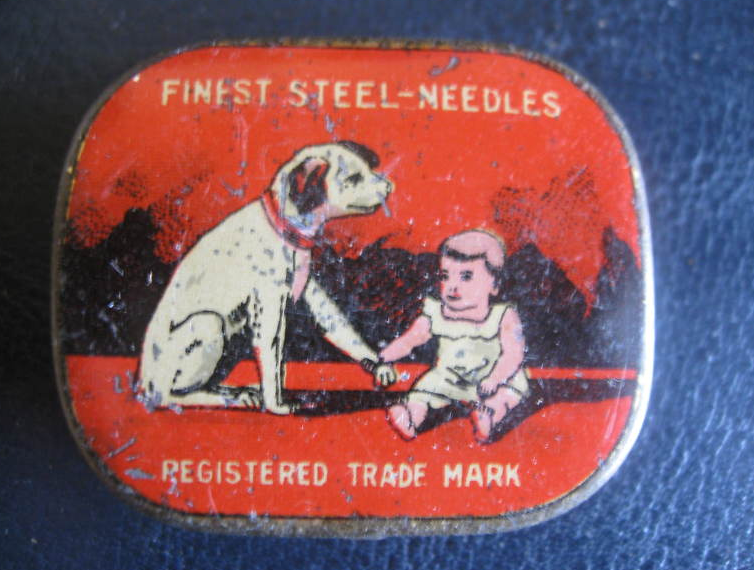 It’s a about a rare Verona needle tin box (circa 1930s). 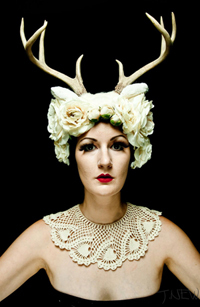 Please check this out, in case you are interested.